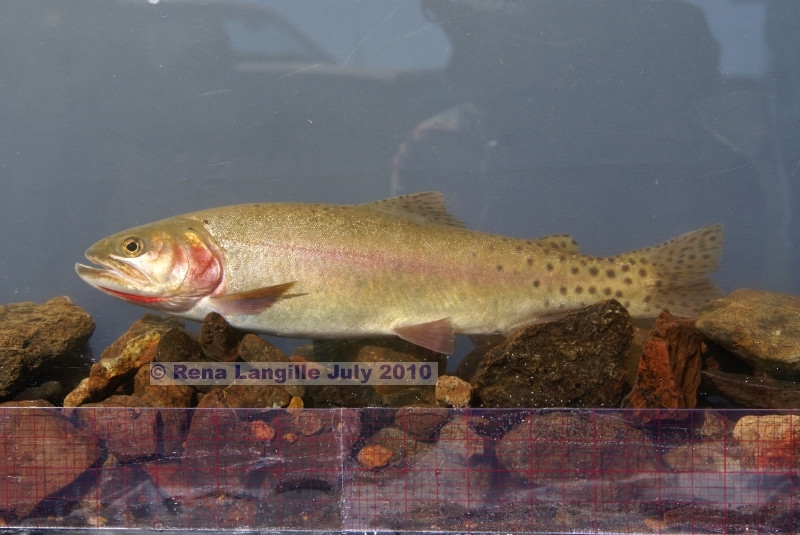 ← Refugium: An area where special environmental circumstances enable a species to survive – after extinction in adjacent areas. 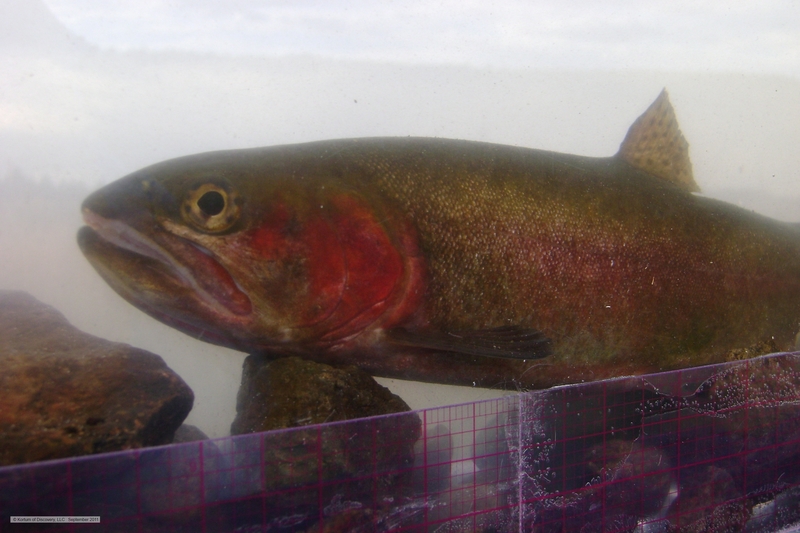 No doubt, we’ve been long overdue for reaching-out to the Klamath Hatchery to find out how the juvenile phenotypical Alvord cutthroat trout have been doing. 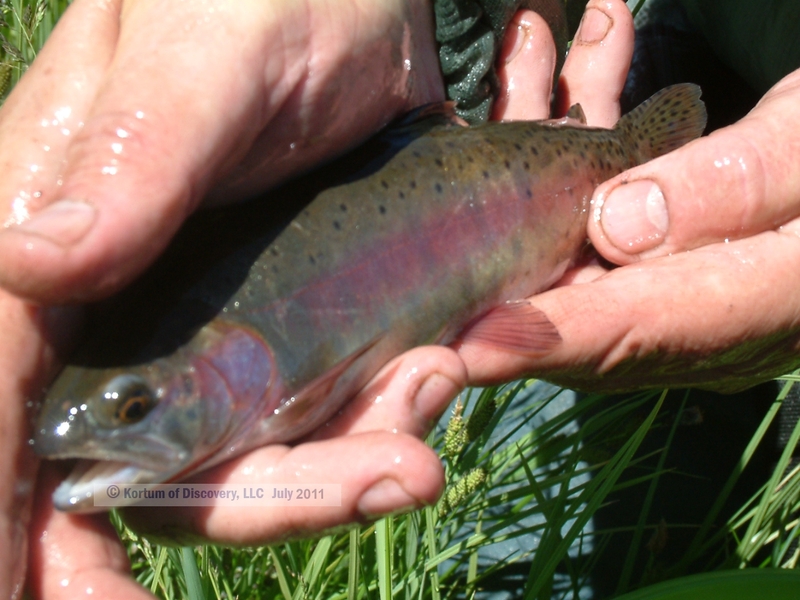 And, long overdue for touching base with the ODFW Hines District Office of regarding their search for, and securing of, the new Fish Biologist for SE Oregon. The good news is that on both fronts there has been more than progress — and the present reality on both fronts seems to be positive and optimistic . . . 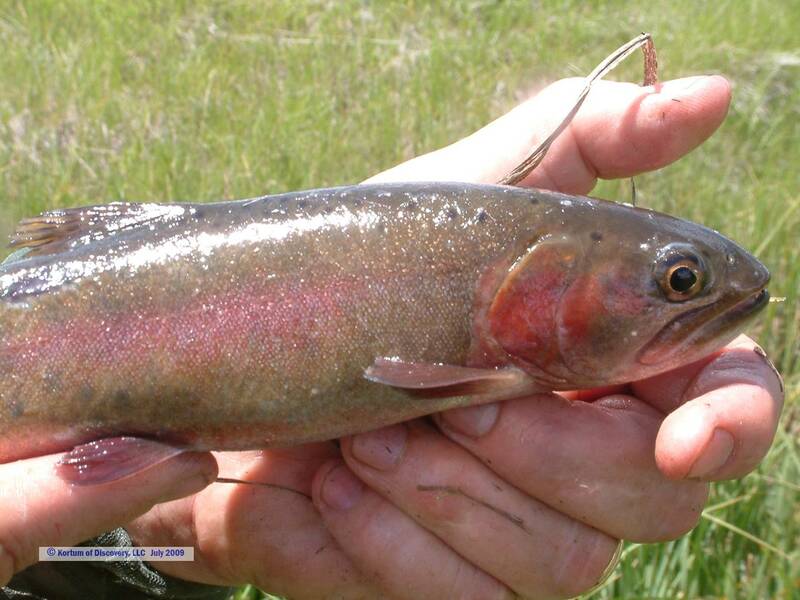 The new Fish Biologist for SE Oregon, based out of the Hines Office, is David T Banks. 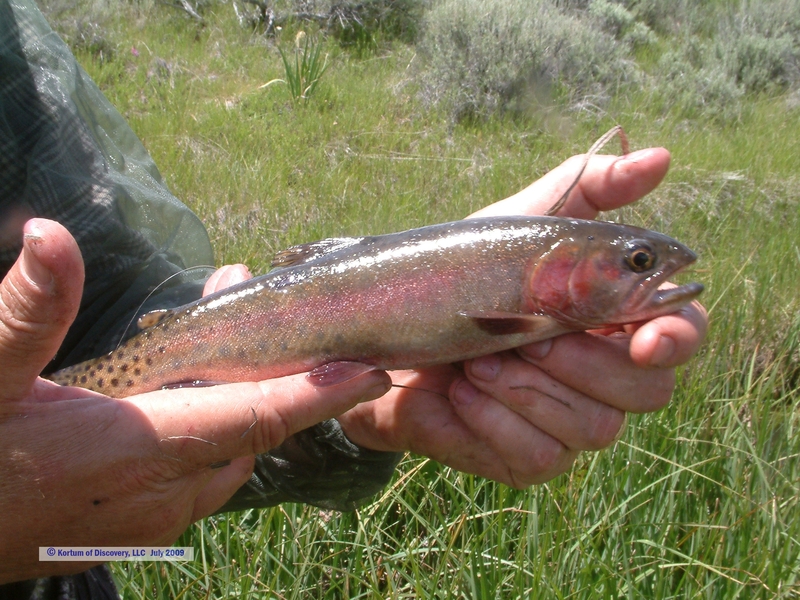 Dave – a ‘transplant’ from Lakeview – is acquainted with the region and is well versed regarding the Alvord cutthroat trout and the general plight of the phenotypical remnant of ACT identified in ***** Creek. 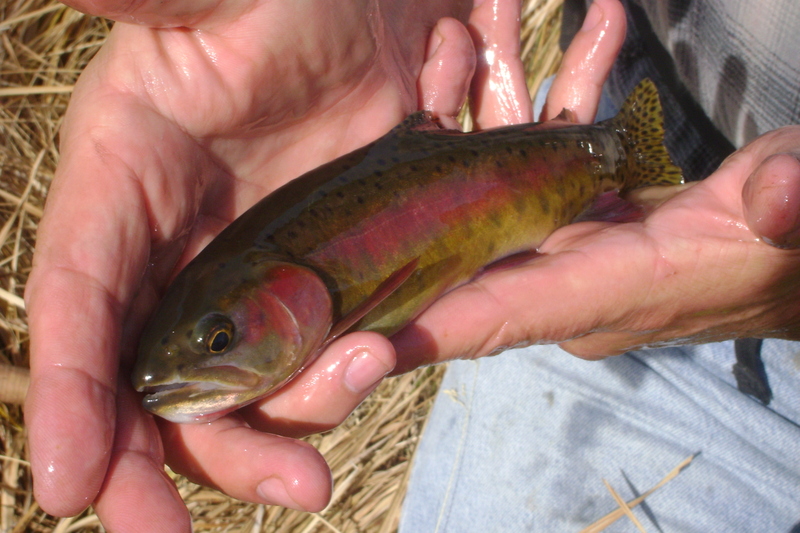 He is familiar with the streams of SE Oregon — and the challenges desert trout face in the effort and struggle to survive – even during a drought cycles such as the terrible cycle SE Oregon has been undergoing for a few years now. 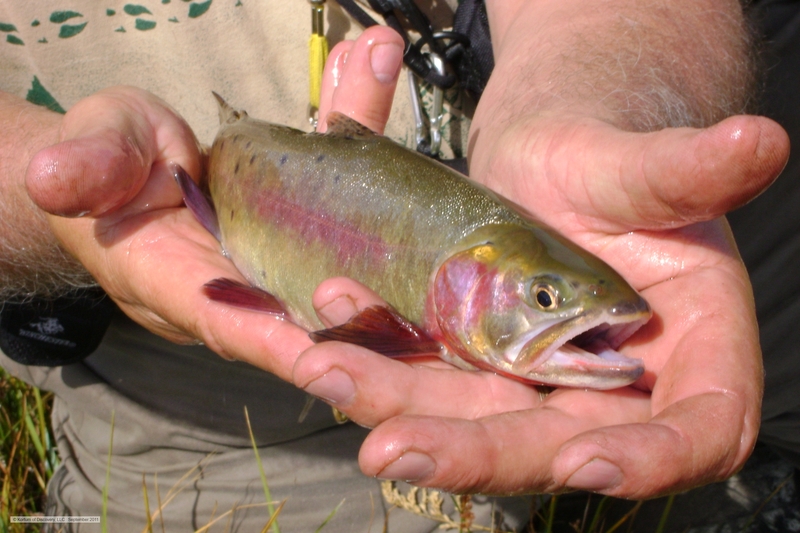 So — it’s good to have Dave on-board as the new Fish Biologist for SE Oregon!! 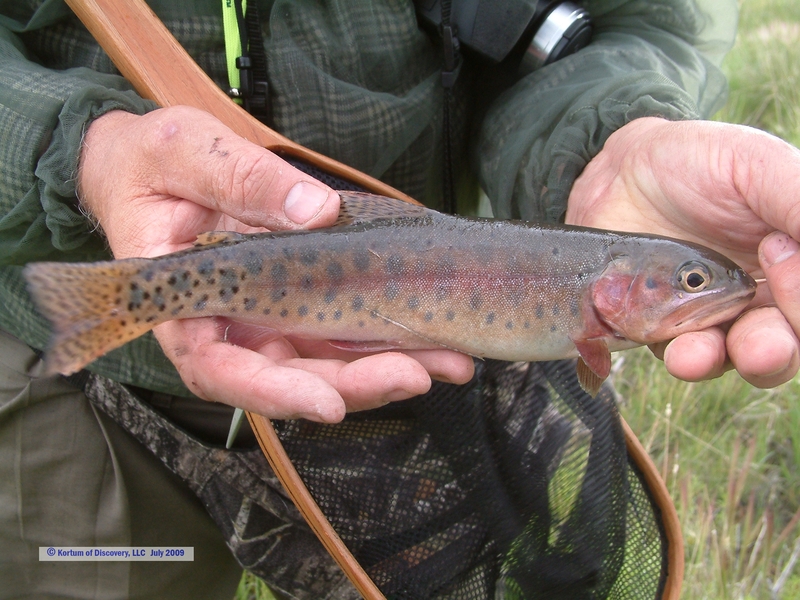 The news from the hatchery also seems to be as good as we could hope for. 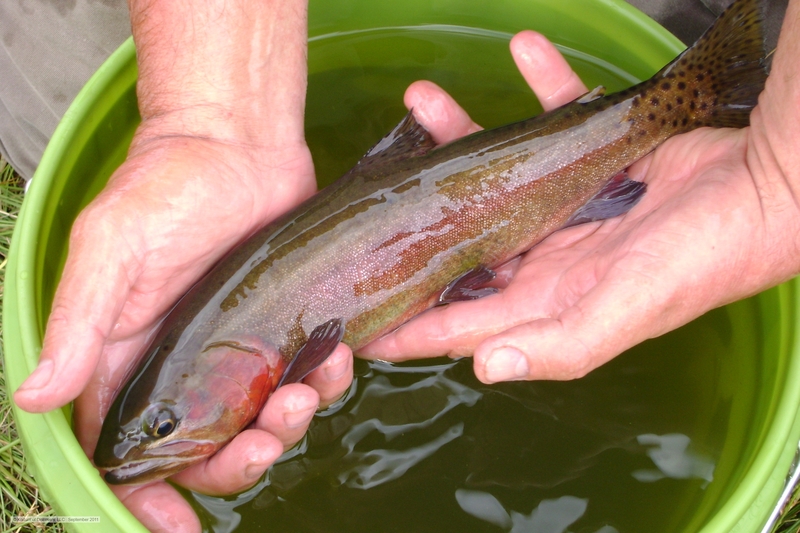 The personnel we were able to communicate with have indicated that of the eighty or so trout that made it beyond the smolt stage — they seem to be strong and thriving. 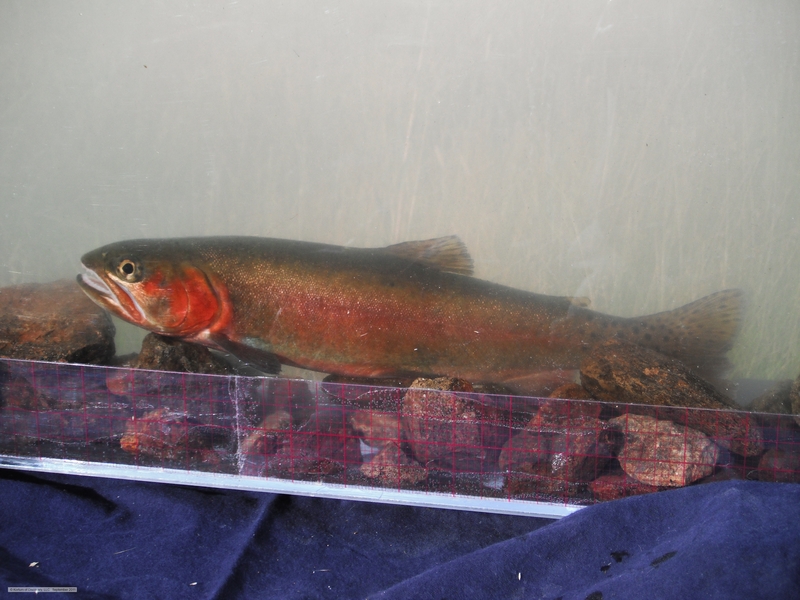 They were moved to a darker containment environment (corresponding more closely to what a stream setting would involve). 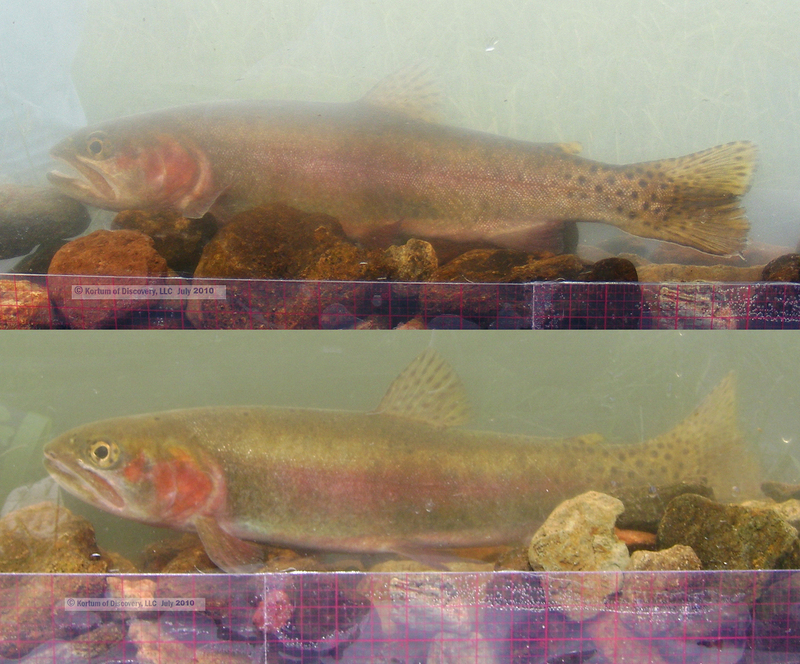 So – they also have darkened up appreciably, with spots visible on their 4 to 5 inch length frames . 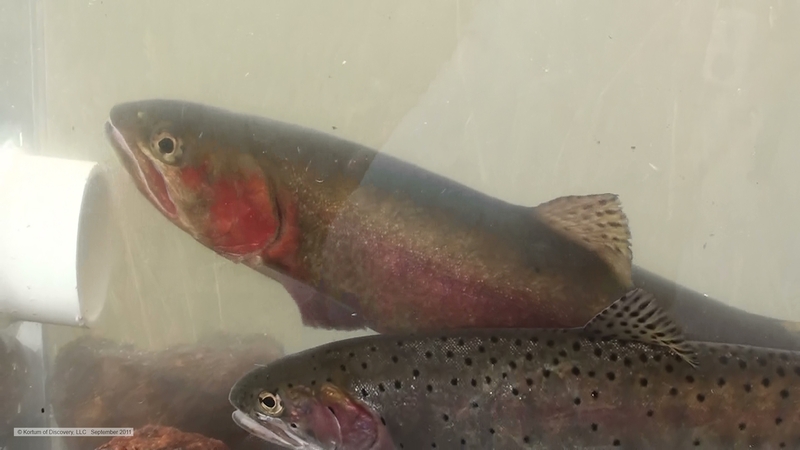 . .
We were also informed that these precious juveniles have been kept in a safe environment where they are not subjected to human interaction — via a self-feeding system to minimize the need for people to interact with these trout. 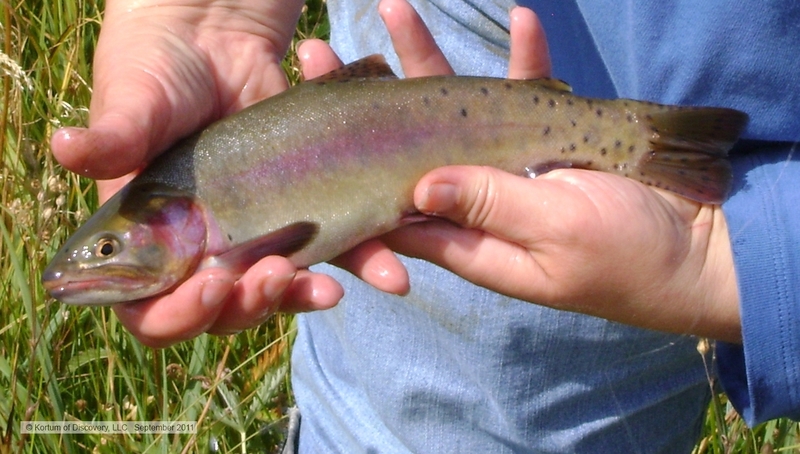 This evidently helps the trout to be more in-tune with their natural instincts. 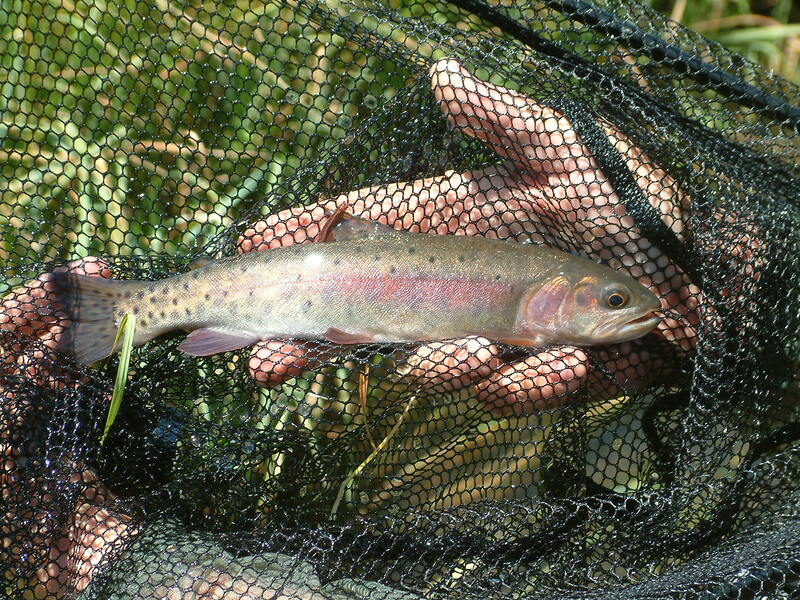 Not only are the trout lively and active from what we are told — but they very quickly dart and dive for cover when their environs are approached by people. 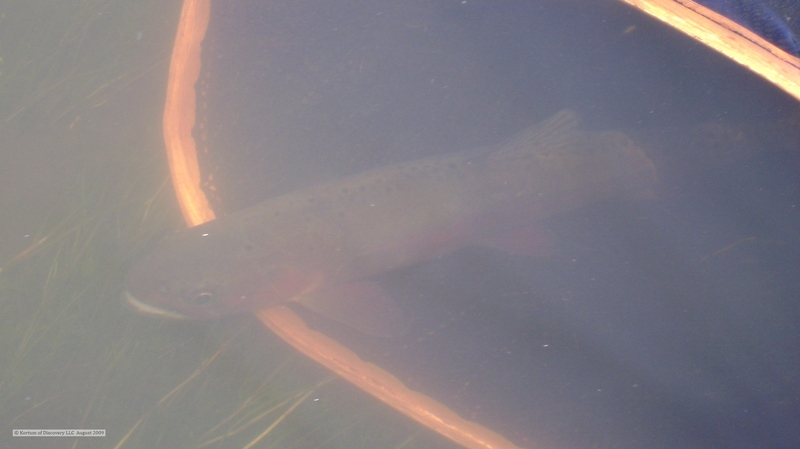 The expectation is that the trout will further mature this winter — perhaps some even attaining sexual maturity as early as this coming year! Which brings us back to one of the considerations and possibilities Dave conveyed. 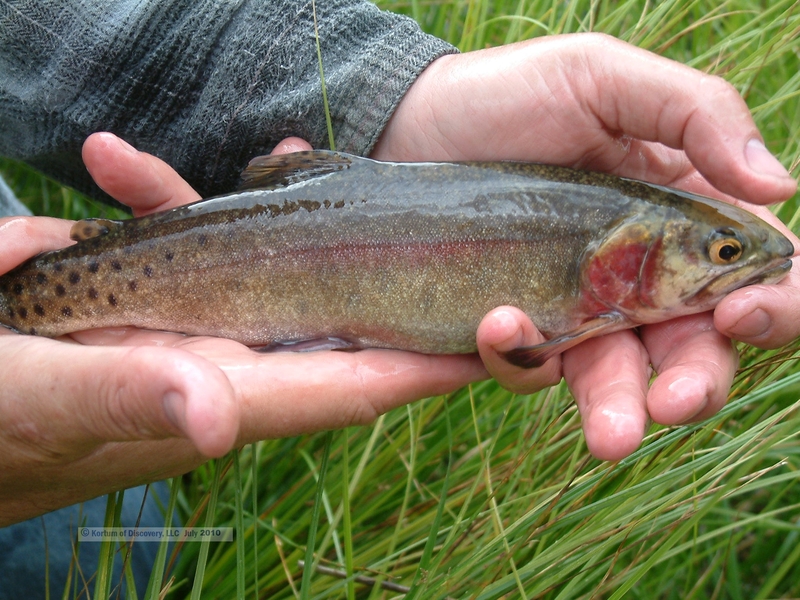 With this drought cycle having brought such stress to the environment, and having diminished (or removed) water flows in so many systems, Dave Banks is considering the wisdom of waiting for next year to re-introduce trout into the wilds of the Alvord Basin or surrounding Basin and Range stream(s) . . . 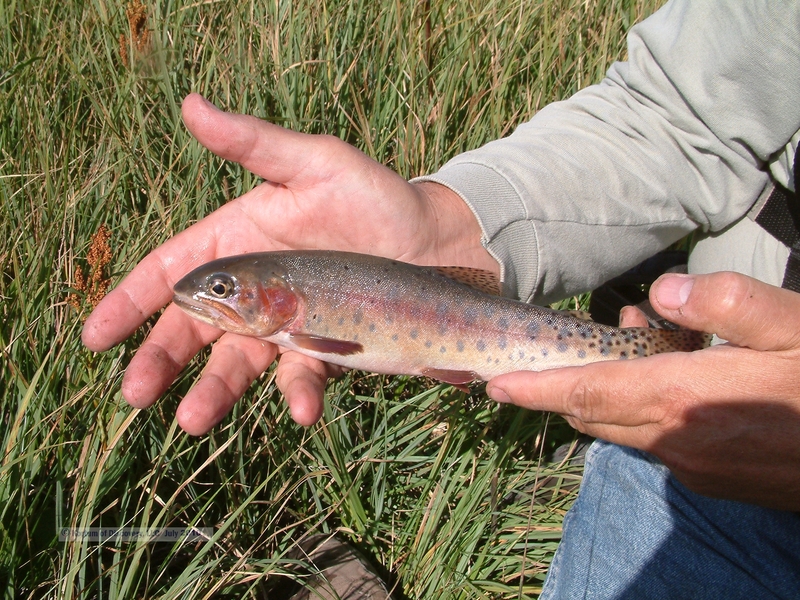 Indications are – that the trout would have to be released in this subsequent season . . . 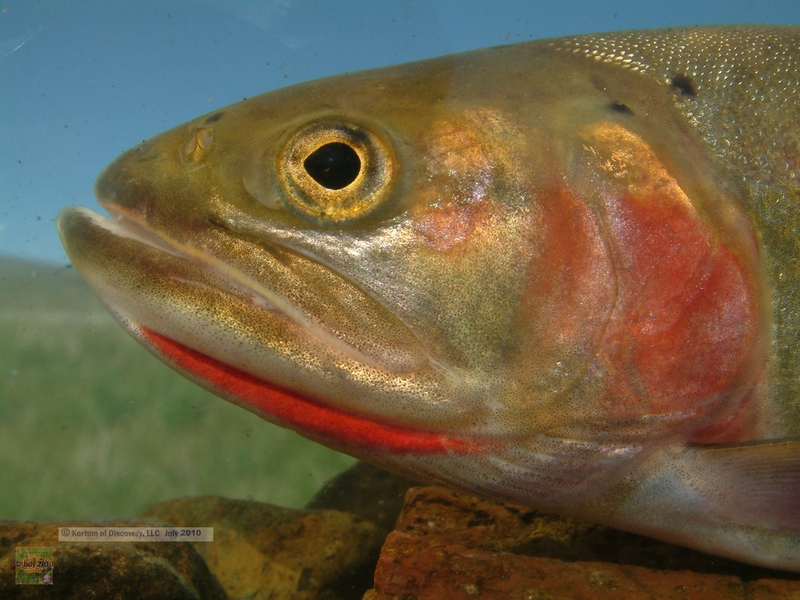 But, perhaps this would allow for not only hopefully better water conditions, but also yield more time for verification of suitability parameters (estimated water flows, temperatures, oxygen levels, pH, food resources, etc.) 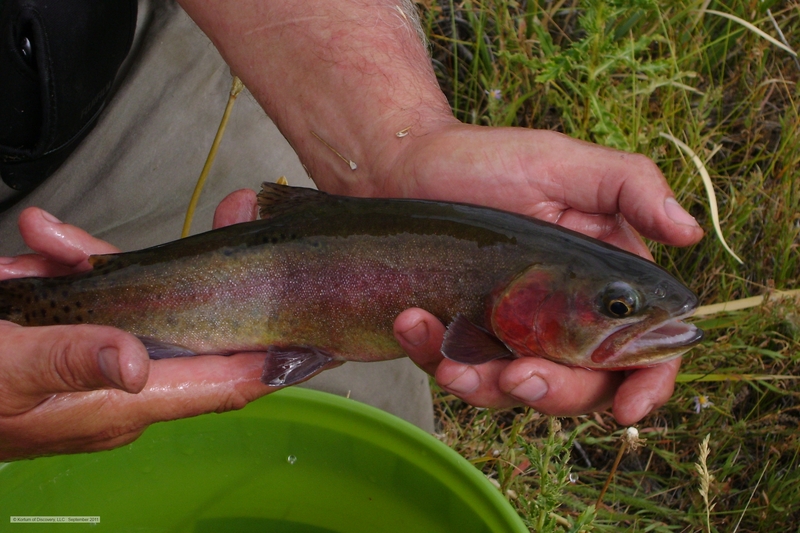 in the target stream(s) for the phenotypical Alvord cutthroat trout. Please be inclined to write Dave notes of encouragement regarding this effort (David T. Banks <david.t.banks@state.or.us>). 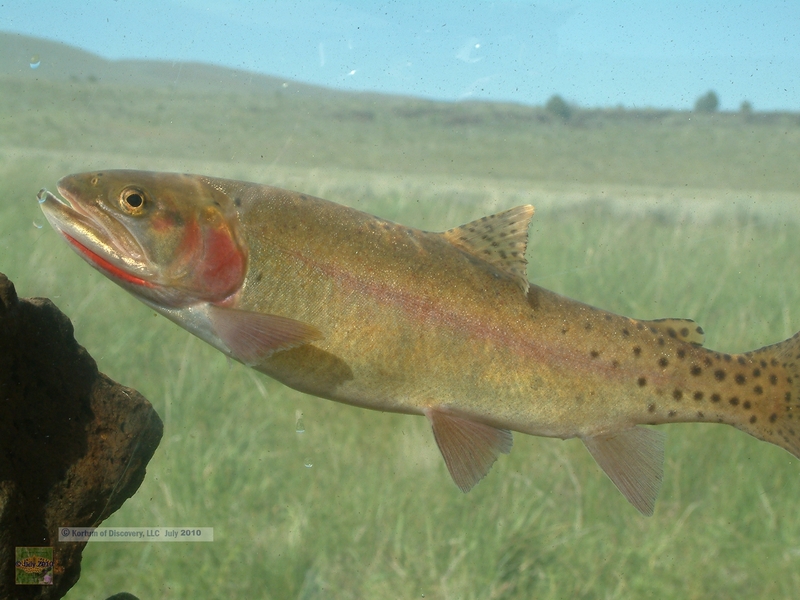 On a further note, Dave also mentioned that if TU or other resources can help facilitate the verification of a genetic baseline for Alvord cutthroat trout (via the museum specimens at the University of Michigan Museum of Zoology) . . . that would essentially be a service that the State of Oregon is not likely to be able to fund in the current economic environment and with current priorities. We will re-initiate communication with some of the University Labs that have expressed interest in this a possibility in the past. And I invite any interested TU Chapter and any genetics lab with the wherewithal to do justice – to please feel free to contact us!! We would love to see these pieces of the puzzle come together . . .
And, we hope to have more information available in the not-too-distant future. 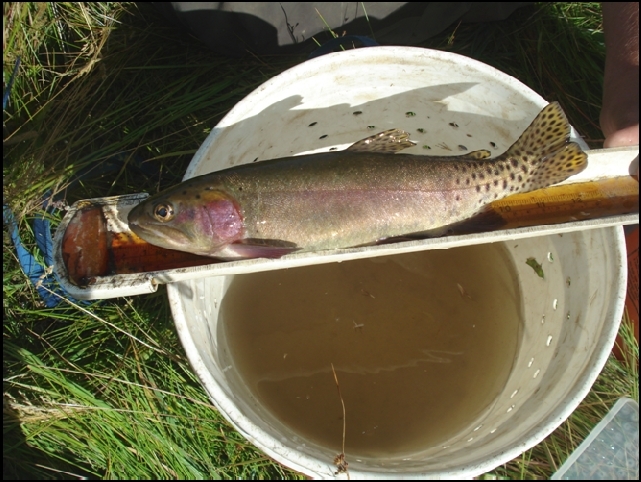 This entry was posted in ***** Creek Sampling, Fisheries Biology and Genetics, Observations, Progress - Reply - Response - Status. Bookmark the permalink.